^ "Montevideo Public Transportation Statistics". Global Public Transit Index by Moovit. Retrieved June 19, 2017. Material was copied from this source, which is available under a Creative Commons Attribution 4.0 International License. Carrasco is a barrio in Montevideo, Uruguay. Located on the city's southeast coast, the barrio was originally an elegant seaside resort. However, it eventually became the city's most exclusive suburb. Carrasco is regarded as one of the most expensive barrios in Montevideo, and features a wide range of architectural styles. Centro is the inner city barrio of Montevideo, Uruguay. Its main avenue is 18 de Julio Avenue. It is delimited by La Paz Str. to the North, Florida Str. and Andes Str. to the West, Canelones Str. to the South and Barrios Amorin Str. to the East. It used to be the main commercial venue of the city, but after the opening of the first malls, many small stores started closing down. Now, that process is being reverted and the area is coming back to life. 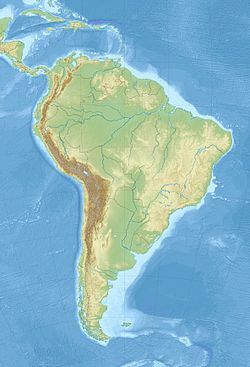 The Republic of Paraguay and the Oriental Republic of Uruguay established diplomatic relations on April 6, 1845. 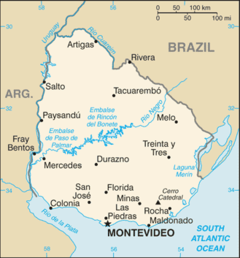 Paraguay has an embassy and a consulate-general in Montevideo. 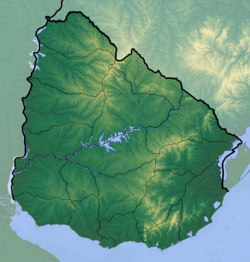 Uruguay has an embassy and a consulate-general in Asunción. Paraguay also has an honorary consulate in Punta del Este. Barrio Jardín is a small neighbourhood of Montevideo, Uruguay, which is part of barrio Parque Rodó. It was formerly known as "Parque del Pueblo". It is delimited by España Boulevard to its north, 21 de Setiembre Avenue to its south and west and Artigas Boulevard to its east. 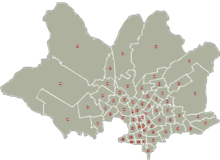 Directly to the north is situated the Faculty of Architecture of the University of the Republic, while to its east is the barrio Pocitos.